We have extensive expertise and knowledge in gown cleaning and preservation process. We have several different processes and techniques that we use to clean and preserve your gown. 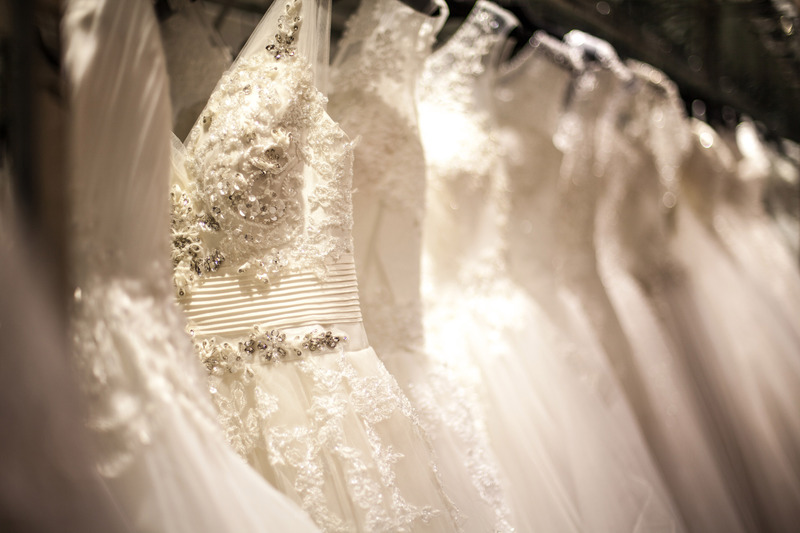 Our expert and well-trained staff will determine which process is best suited for your gown. Every gown is carefully inspected and checked under special lighting to identify invisible stains. By utilizing our state of the art equipment, expertise, knowledge and preservation method, using the most environmentally safe and chemical free green process to ensure gentle care of your gown. Our experienced and well-trained staff will steam and hand press your gown to perfection. 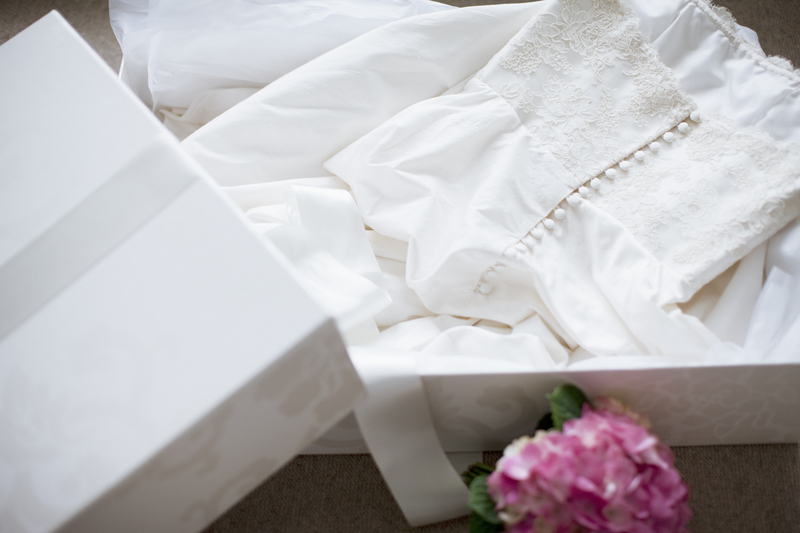 Then our staff will shape, tissue and package your gown and place it in a protective cover for safe delivery. We also offer next day steaming and pressing of your gown. Gown Restoration is a very unique knowledge that is developed over years of hands-on experience and is not usually available at your local dry cleaner. The technique for restoring of certain fabric varies from gown to gown. The age, the amount of yellowing, stains, weakened fabric, damaged or discolored trims, etc., all have to be evaluated to determine the proper method for restoring any gown. Typical Dry cleaning processes do not accomplish the restoration process completely. It actually requires a wet cleaning process. Which is not the same as washing; it is a gentle computer controlled water temperature, washing, agitation, and extraction process. Based upon the type of fabrics, trims, and stains of the individual gown, stains are hand treated and removed by a series of steps, one at a time.